At its board meeting earlier this week, the Financial Accounting Standards Board discussed improving existing guidance in FASB’s Accounting Standards Codification (ASC) pertaining to how not-for-profits recognize revenue. 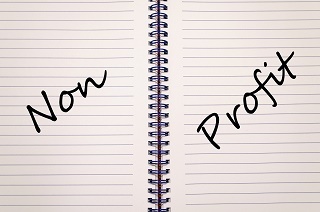 Specifically, the FASB board decided to clarify crucial guidance in ASC Subtopic 958-605, Not-for-Profit Entities – Revenue Recognition, regarding distinguishing between conditional and unconditional contributions. A barrier would be described through the use of indicators and illustrative examples. Distinguishing between conditional and unconditional contributions. Learn more about FASB’s project to update revenue recognition for not-for-profits when FASB’s Assistant Director, Non-public entities, Jeff Mechanick, speaks at the MACPA’s popular Government and Not-for-Profit conference, slated to take place on April 28 at the College Park Marriott Hotel & Conference Center in Hyattsville, MD. The keynote address at the Government and Not-for-Profit Conference will be given by Dr. Brett Baker, CPA, Assistant Inspector General for Audit Nuclear Regulatory Commission, Office of the Inspector General. Dr. Baker will share insights and perspectives on oversight topics the OIG community is paying attention to, including the Presidential transition, IG Empowerment Act, enterprise risk management and internal controls, data analytics, information technology security, and financial statement audit. Other speakers are leading experts from audit firms as well as speakers from the U.S. General Accountability Office (GAO), Congressional Budget Office (CBO), the non-partisan Project on Government Oversight (POGO), the Office of Management and Budget (OMB), the Federal Accounting Standards Advisory Board (FASAB), and more! Read the full agenda and register for the Government and Not-for-Profit Conference.